A new 8′ rear-lit scoring table sits at the sidelines of a heated basketball game at Sir John A. MacDonald Secondary School in Waterloo, ON. Custom graphics on the rear-lit face enhance the HIGHLANDER pride and offers a neat and tidy score keeper area for up for 4 people comfortably. 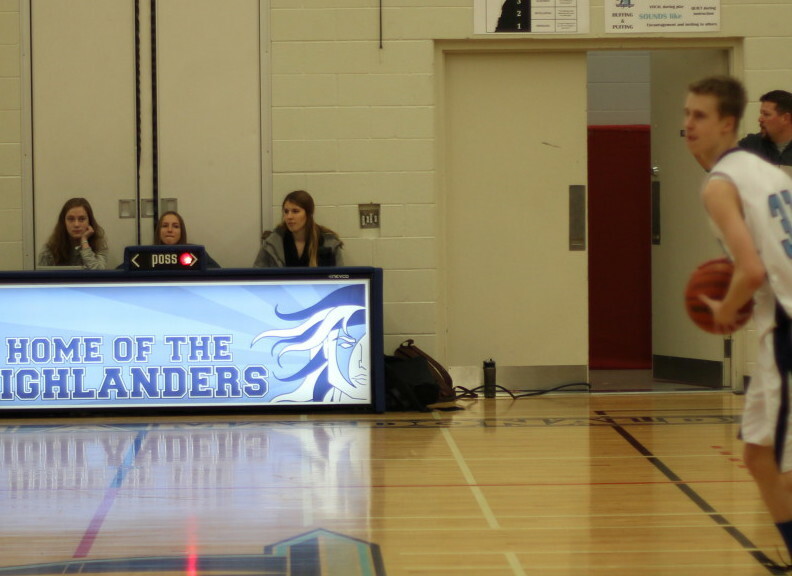 If you know of a school that could benefit from a new Scoring Table, please send them our way! 800.363.8196; info@scoreboardman.com; www.scoreboardman.com.